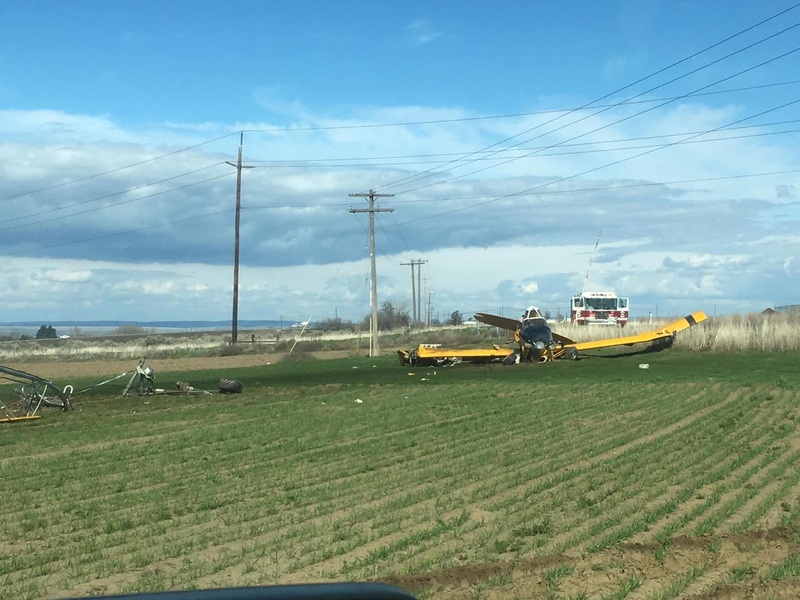 HERMISTON, Oregon – A single-engine crop duster crashed in a newly-seeded crop circle south of Hermiston Thursday afternoon. The pilot was the only occupant. 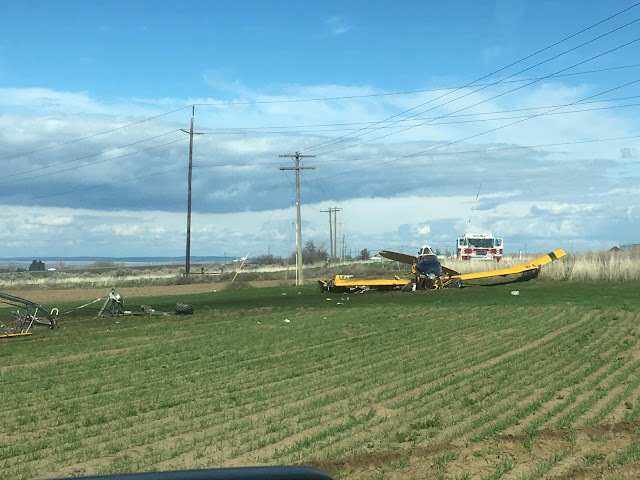 Theadore “Ted” Pasicka, 60, of Hermiston suffered a minor injury in the crash on land owned by the OSU Experiment Station. Emergency and medical personnel from Umatilla County Fire District No. 1 and the Hermiston Police Department responded. Hermiston Police Capt. 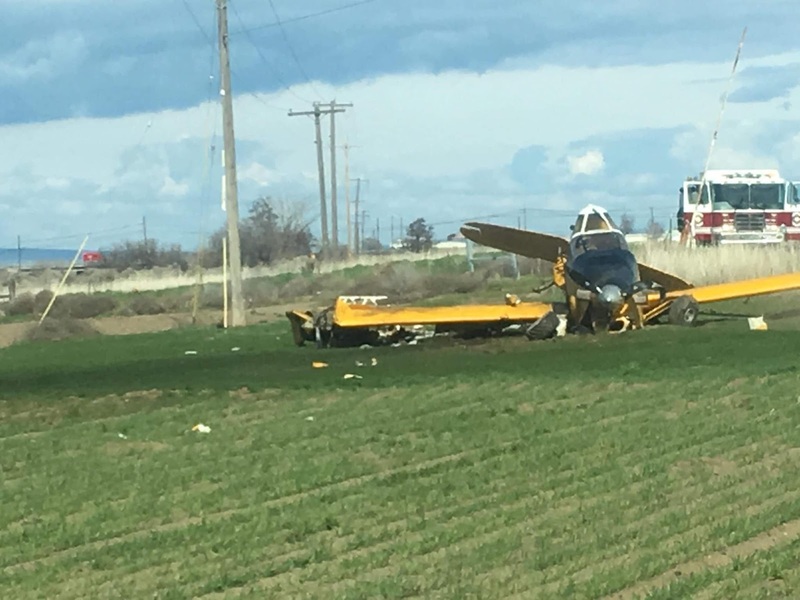 Travis Eynon said there might have been minor damage to some irrigation equipment and the ground, but no major destruction occurred on the ground, other than to the plane itself. Hermiston Police Lt. Randy Studebaker said the call came in at 2:54 p.m. Thursday afternoon. He added that the cause of the crash is thought to be a “possible mechanical issue.” The land, which is owned by the state, is not open to the public and Studebaker said the crash was not visible from the roads, which did not deter motorists from driving around trying to catch a glimpse of the wreckage. A Hazmat team was activated because of what turned out to be a minor fuel leak. There was no threat to public safety as a result of the crash.